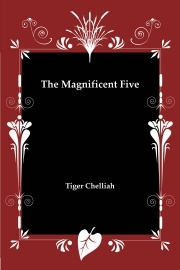 Description of "THE MAGNIFICENT FIVE"
Chelliah Sundar. Elayaperumal has written his first short stories book Thumb Tunes under the Pen name Tiger Chelliah. The Magnificent Five is his second attempt of short stories. He did his education in Coimbatore, India and Philadelphia, USA. He has worked as an IT professional in both USA and India. Currently he is working as a Project Manager for a MNC in Chennai. His writing experience includes helping children’s magazines. Reviews of "THE MAGNIFICENT FIVE"